"Thank you for helping me clear up Uveitis which had been plaguing me for years." 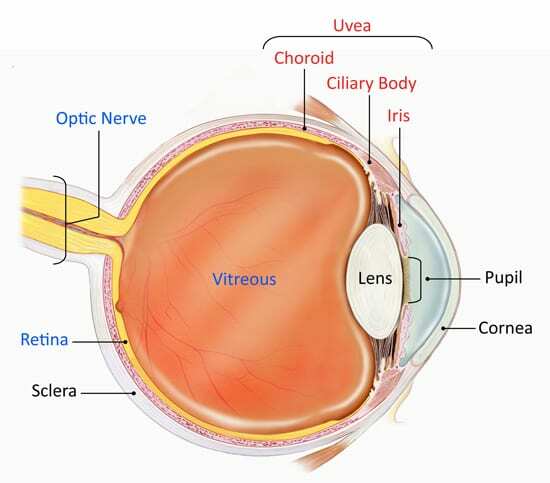 Uveitis is a general term describing a number of inflammatory diseases that produce swelling and destroy eye tissues. These diseases can slightly reduce vision or lead to severe vision loss. At Florida Eye Specialists and Cataract Institute our doctors are highly-trained and skilled in the detection and treatment of all types of Uveitis. The term Uveitis is commonly used because many of the related diseases that affect the middle layer of the eye called the uvea. But Uveitis is not limited to the uvea. It can also affect the lens, retina, optic nerve, and vitreous, reduced vision or causing blindness. Uveitis can be caused by diseases or problems in the eye, or it can be part of an inflammatory disease somewhere else in the body. It can be caused by a viral, fungal or bacterial infection. In many cases of uveitis, the cause can be unknown. Uveitis can affect all ages, but primarily affects people between 20 and 50 years old. It can last for a short (acute) or a long (chronic) time. The severest forms of uveitis can reoccur many times. The type and cause of your condition is used to determine the best treatment option for your individual case, using the latest techniques and technologies. Our specialists treat many cases of Uveitis with steroids in the form of eye drops, pills or injections to reduce inflammation in the eye. We are also using a new, FDA-approved treatment called Retisert that is used to treat chronic Posterior Uveitis by placing a drug implant in the eye that delivers medication as needed for over a multi-year period.